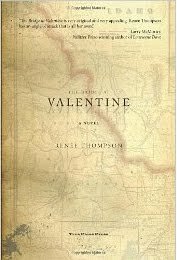 Stories on Stage contributor and debut author Renee Thompson (The Bridge at Valentine, Tres Picos Press, 2010) will speak at the Friends of the Sacramento Public Library’s annual meeting on Sunday, January 30. Social hour (cookies, coffee, silent book auction) begins at 1:00; Renee speaks about her book at 2:00. Robbie Waters-Pocket-Greenhaven Library, 7335 Gloria Drive, Sacramento.